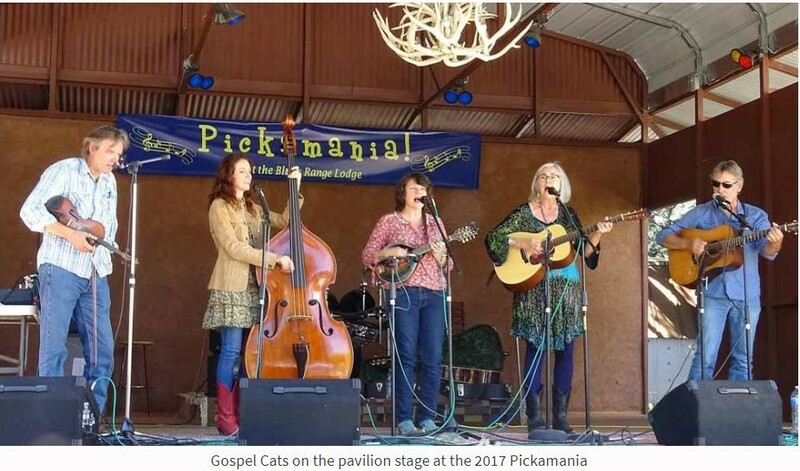 Pickamania — a three-day showcase of live music, happening in Kingston New Mexico on September 13-15, 2019 — has evolved from its origins in the mid-1980s as a backyard party hosted in a garlic shed into a festival celebrating the love of acoustic music of all genres. 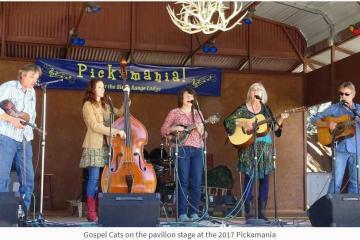 The event went mainstream in 2008 when the Mimbres Region Arts Council adopted the name and created its own awesome Pickamania festival in a downtown park in Silver City, with professional bands from across the country. The event moved to Kingston in 2017, and will be held at the Black Range Lodge‘s outdoor Pavilion for the second year in a row. Food trucks, beer & wine, CDs for sale.